Dry and brittle hair ends are probably the most common complaint among those of us who undergo chemical treatments on a regular basis. But did you know that healthy hair actually begins at the scalp? The root of many hair problems stem from poor scalp conditions and yet, many of us tend to neglect our scalp until hair problems begin to surface and hair loss becomes an issue. As the old saying goes, prevention is always better than cure, hence taking good care of my scalp has always been my top priority. 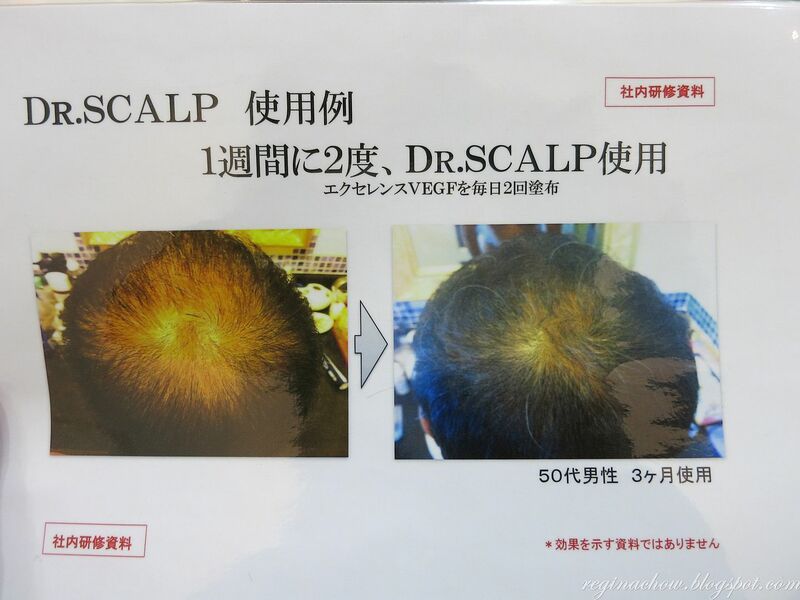 I have tried various scalp treatments and one of the most effective scalp treatments that I have tried thus far is the Dr Scalp Treatment from Naoki Yoshihara by Ash. Masa-san from Naoki Yoshihara by Ash has been taking good care of my crowning glory for the past few months and I have to thank him for introducing me to this wonderful treatment. I love Japanese products and services because they are always at the forefront of technological advances and innovation. 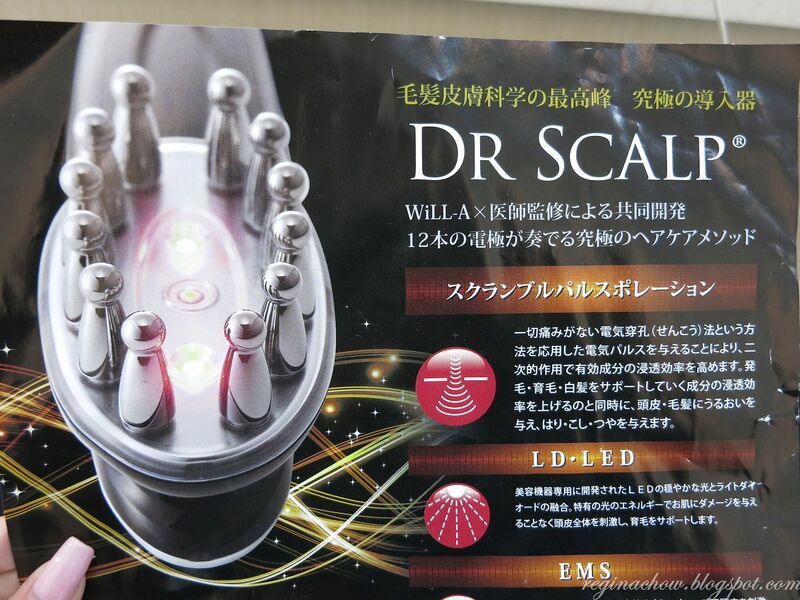 Dr Scalp Treatment hails from Japan and it entails the use of a scalp care machine that combines light diode and gentle LED light to stimulate your scalp and support healthy hair growth without harming your skin. This unique, one-of-a-kind treatment incorporates the use of scramble pulse, radio frequency waves, EMS and electroporation technologies. As the skin on the scalp is twice as sensitive as the skin on our face, Dr Scalp ensures that only high frequency radio frequency waves that do not damage our skin are used. 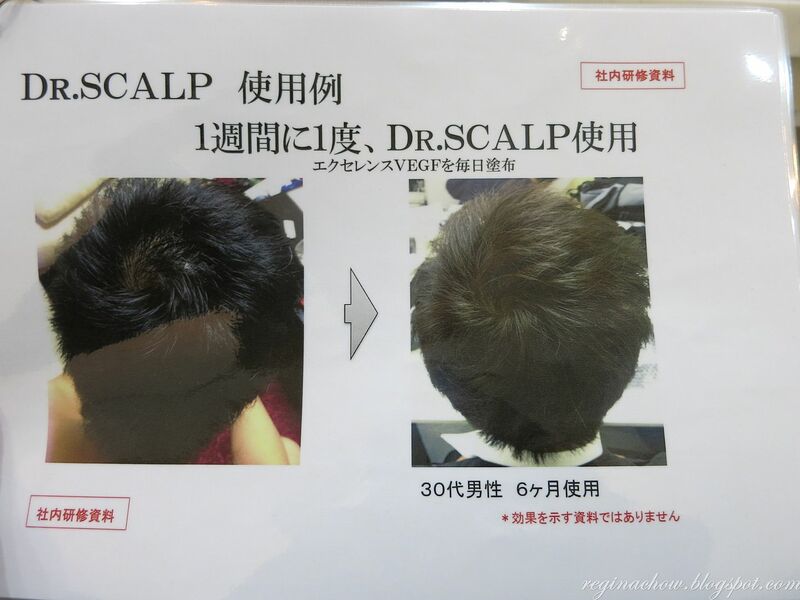 Dr Scalp is also incredibly effective in treating hair loss problems. Whether you are in your 30s and starting to experience thinning hair (see picture below) or in your 50s with visible bald patches (see picture above), Dr Scalp guarantees fantastic results in just a span of 3-6 months. As you can tell, these before and after photos certainly speak for themselves. 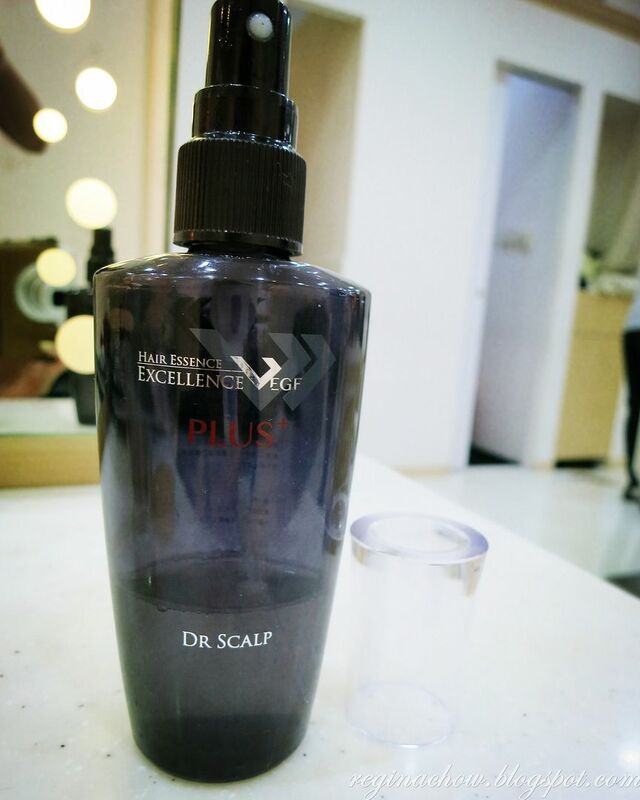 Hair essence is first sprayed evenly over your scalp, followed by a scalp massage using the Dr Scalp scalp care machine. 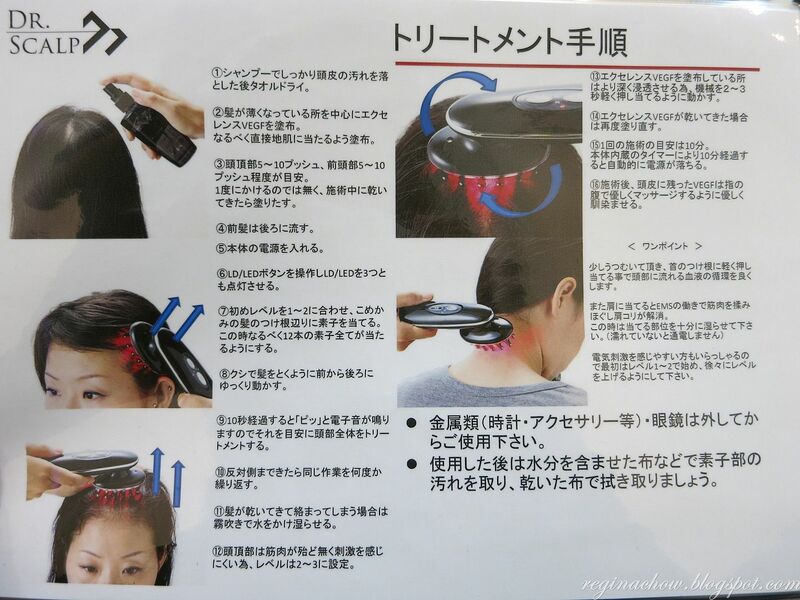 The machine can also be used at the back of the neck for a gentle massage and also to stimulate circulation. The hair essence has a refreshing, minty scent that invigorates your senses after a long day at work. 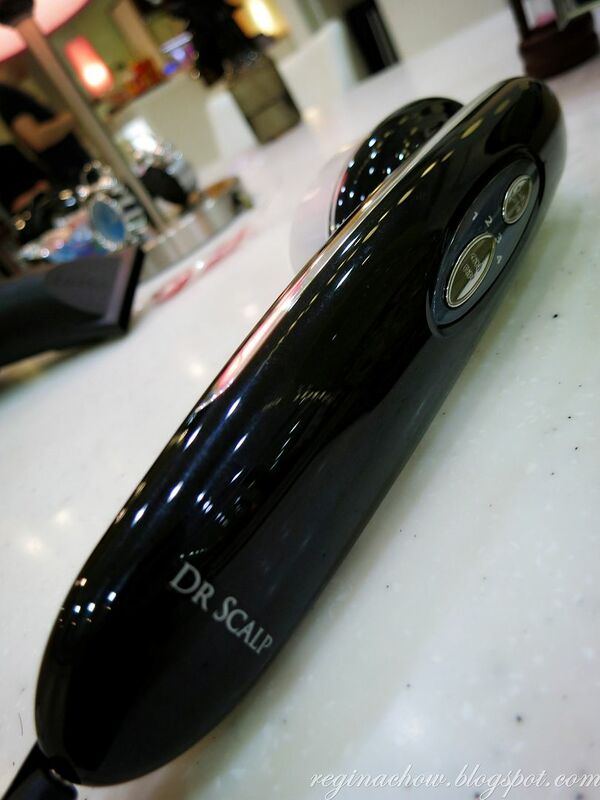 Here's what the Dr Scalp scalp care machine looks like. The tips of the probes that come into contact with your scalp are coated with titanium, which is very gentle and works well with all skin types, even sensitive skin. When the Dr Scalp scalp care machine is activated, it emits a bright red glow and a very therapeutic tingling sensation is felt when the probes come into direct contact with your scalp. 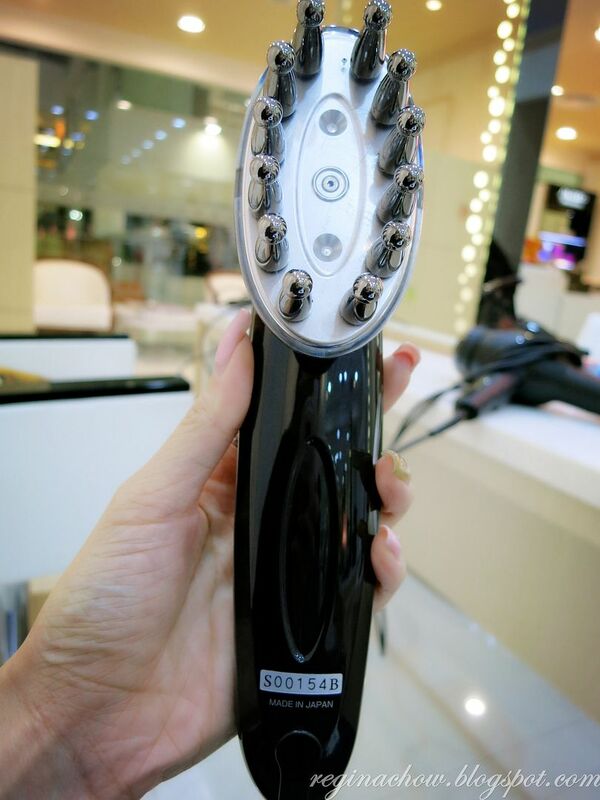 The scalp machine also enhances the permeability of the hair essence and stimulates hair growth. Indeed, my scalp felt instantly rejuvenated and well cleansed after the treatment as all the dirt and grime were lifted from my pores. 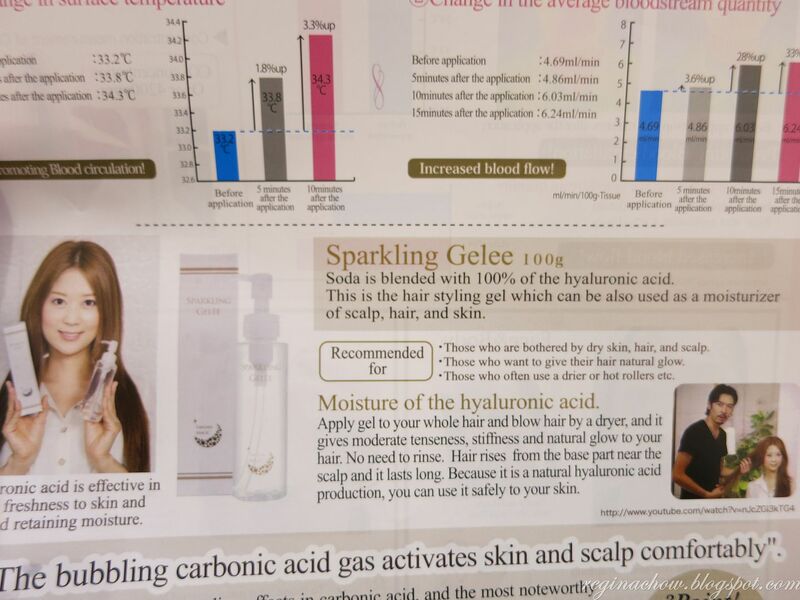 Masa-san then applied two other scalp treatment products, namely Sparkling Spa Shower and Sparkling Gelee, to top off the treatment. 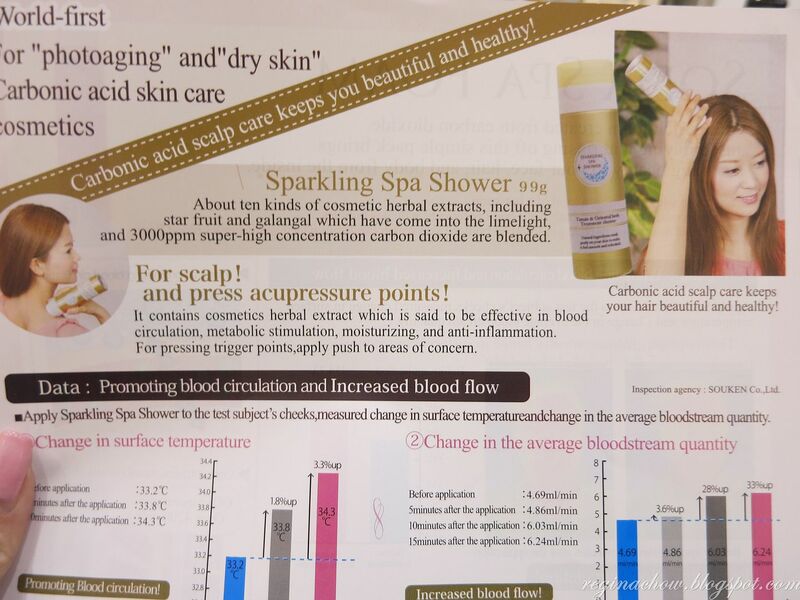 Sparkling Spa Shower promotes blood circulation and has anti-inflammatory properties as well. 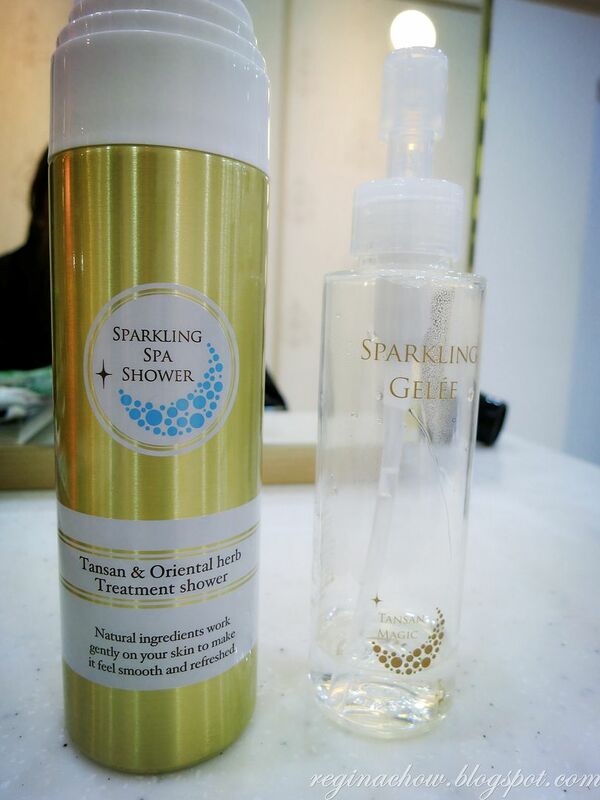 I was particularly fascinated with Sparkling Spa Shower because instead of spraying the product directly onto your scalp or dispensing it onto your fingers, all you have to do is to press the sponge tip of the bottle onto your scalp slowly. A cooling sensation is felt every time you press the sponge tip on to your scalp as you can actually feel a burst of cold air being released. It is really refreshing and since this product contains only natural herbal ingredients, you can be assured that your scalp is in good hands! Sparkling Gelee on the other hand, works just like a leave-in conditioner to seal in the moisture in your hair. As it is made of 100% hyaluronic acid, it can be applied directly to the scalp, hair and even on your skin. My scalp tends to be a little oily and itchy, especially if I choose to wash my hair on alternate days, but after undergoing 3 sessions of Dr Scalp Treatment, I can feel a great difference in my scalp condition. My scalp is no longer as oily as it used to be and there is more volume at the crown. My girlfriend Karen has tried a few sessions of Dr Scalp Treatment too as her scalp has become rather sensitive after her frequent overseas travels. If you have a dry and sensitive scalp, it is recommended that you do the Dr Scalp treatment once a week for a start until your condition stabilizes. 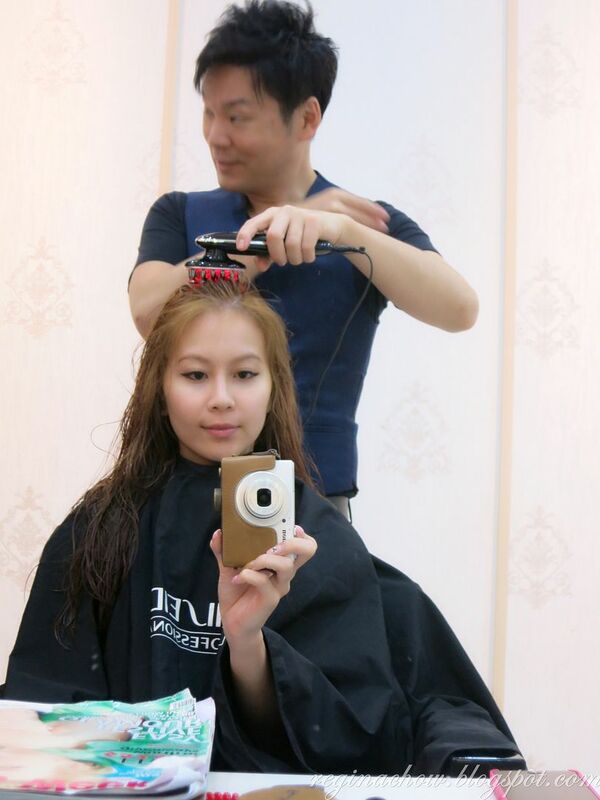 I love how Masa-san goes the extra mile to recommend suitable treatments for my hair every time I visit the salon. 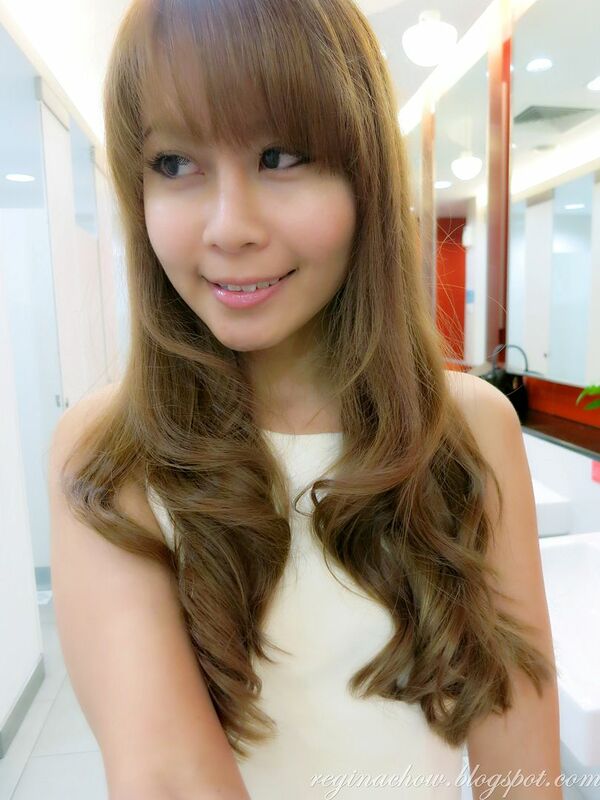 And it is amazing how my hair always looks shiny and smooth in spite of all the chemical treatments I do every month. Thank you, Masa-san! All the credit goes to you! 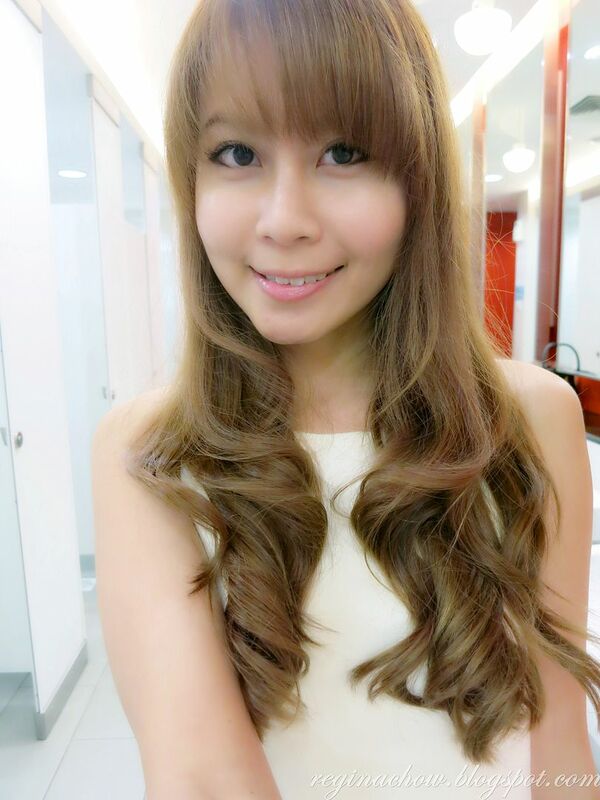 I have been recommending Masa san to many of my friends as well, and all of them love what he did with their hair. Masa-san currently shuttles between Japan and Singapore for work, but here comes the good news - he will be relocating to Singapore in April this year!